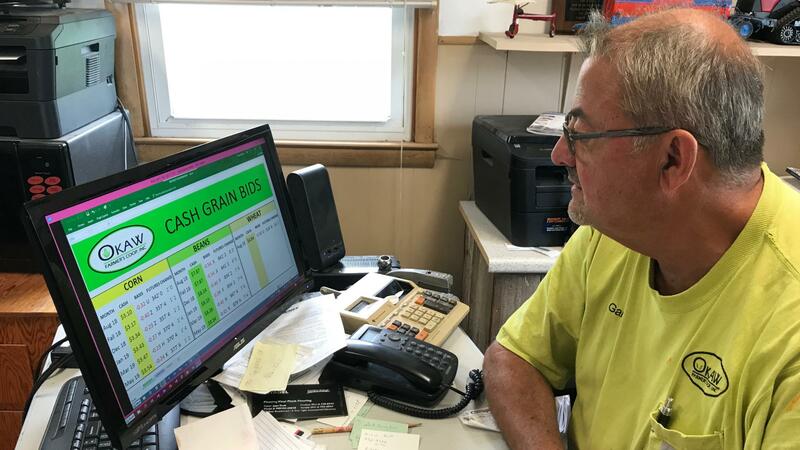 Gary Smith tracks the Chicago Board of Trade's corn, soy and wheat prices change at his office in the Okaw Farmer's Cooperative in Lovington. Shelley Martina waits for a truck loading corn at the grain elevator in Lovington, Illinois. Mary Hansen reports on the cost of doing business across the rural digital divide. A slow internet connection could mean a loss of hundreds of dollars for a farmer trying to sell his crop. Smith says their internet connection used to be so slow, they’d often just pick up the phone to report the grades and weights of grain they were buying. That changed when they got high-speed internet over fiber optic cables a year ago. “Speed is what we’re after, and fiber optic is a lot better,” he said. 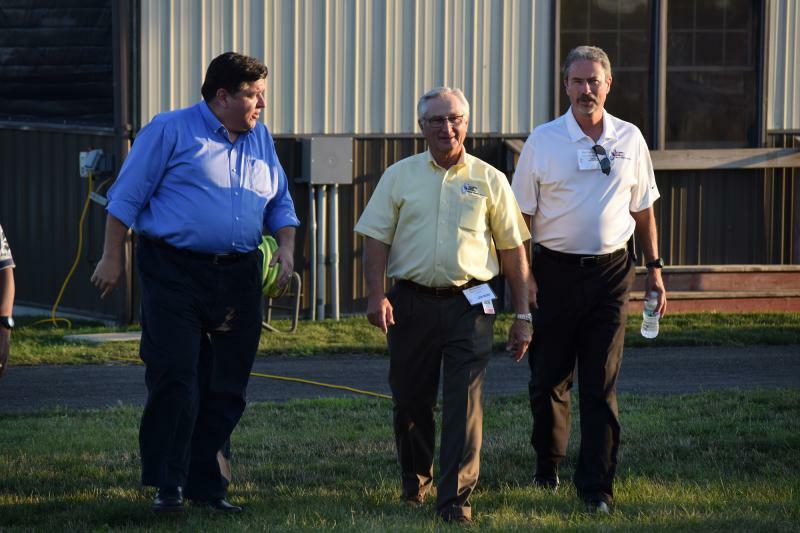 Smith's experience with a slow internet connection impeding his work was echoed by farmers across Illinois. 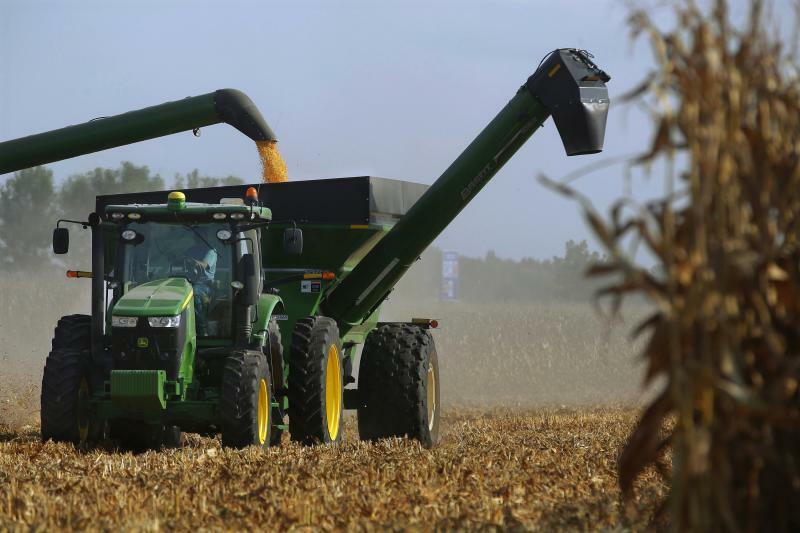 In a survey conducted by the Illinois Farm Bureau early this year, three-quarters of respondents said they had internet access at their homes. 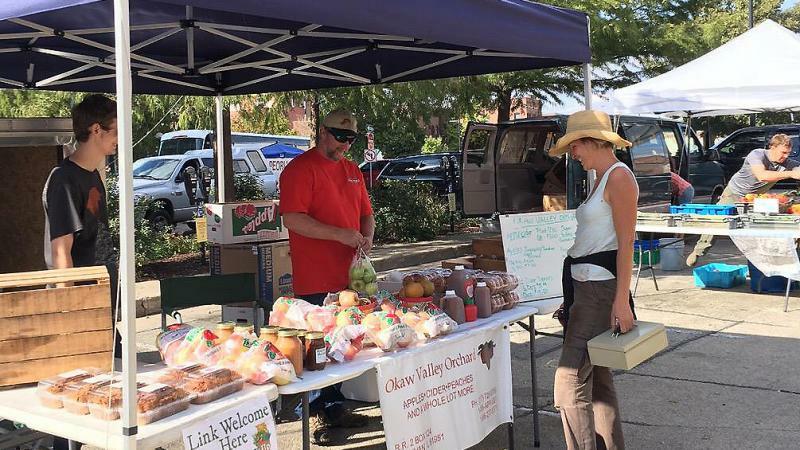 But two-thirds reported the quality of the service "negatively impacted" their farming business. The survey had a small sample size, 235 respondents. But they encouraged the bureau to make high-speed internet a priority. But fiber or many other high-speed internet options are expensive to bring to rural towns like Lovington, with a population of about 1,100. “There’s millions of people in this country who literally have no broadband access because that infrastructure is just not being built in these communities,” says Shirley Bloomfield, head of The Rural Broadband Association. Bloomfield, who works with small internet providers, says one challenge is large telecommunications companies don’t have the incentive to build out the infrastructure -- like laying the fiber cables -- to serve small towns. It won’t get them the return on investment that building up in larger cities will. That’s why billions in federal dollars have been spent in recent decades on connecting the most outlying communities, including nearly $7 billion in the 2009 stimulus package. Bloomfield says it still hasn’t been enough. But she says there’s a renewed interest in tackling the problem. More federal money to build and connect antennas for fixed wireless or bury fiber optic cables could be on the way in the most recent farm bill in Congress. The Federal Communications Commission also just awarded nearly $1.5 billion to build broadband networks in underserved areas, including nearly $100 million for Illinois. In Lovington, crews are expanding the broadband network by digging three feet underground to connect a new insurance business on the town’s main street to a fiber hub. Shawnee Communications used federal grants and loans to bring fiber internet to its 500 customers there. The project started in 2016 and finished its first phase in 2017. Matt Johnson, a vice president with Shawnee, says even in rural areas that do have internet access, speeds often can’t keep up with the way people use the internet today. “It's not just checking your email anymore. It's not just viewing a static website. It's 'I want to get on my device right now and I want to watch the NFL game,'” he said. And that requires much more bandwidth than has been available in most rural areas. 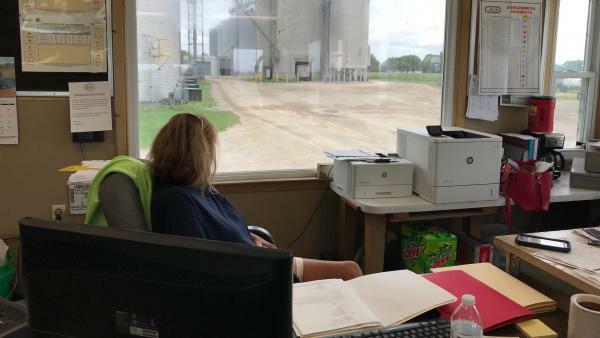 At the Okaw Farmer's Coop grain elevator, Smith watches a truck pull up to the scale. His co-worker enters the stats into the computer to be sent to their main office. The process is faster, and smoother, since they got their high-speed internet a year ago. “It can save us a lot of money and our farmers. And that’s what we’re after right here,” Smith said. Smith is on the county board in Moultrie County, where Lovington is. He and Johnson say the benefits reach far beyond this one business; closing the rural internet divide helps schools, doctors, emergency dispatchers and other small businesses throughout the county.